Utah isn’t exactly the first place you think of when you talk about beer, but Epic Brewing is doing their best to change that. Hosted by the Kalamazoo Beer Exchange, Epic brought out what might have been every beer they have available at the moment. For me, the highlight was the Big Bad Baptist double stout. 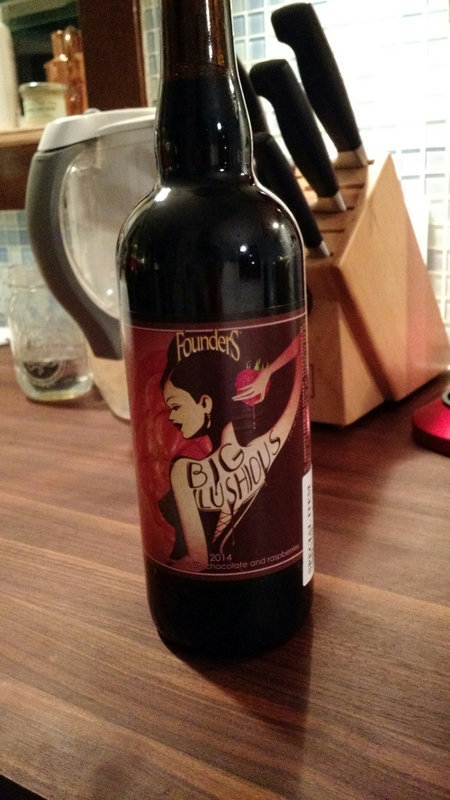 It was a big beer (close to 11 percent), but didn’t taste super boozy and had lots of chocolate and sweetness without being overbearing. We also tried the Hopsolution IPA which was very heavy on the grapefruit side, but still a nice beer. After the Beer Exchange, we went to Boatyard Brewing, another local Kalamazoo brewery. They were doing a sort of 40’s prom theme kind of thing, but it came off more as a USO party. 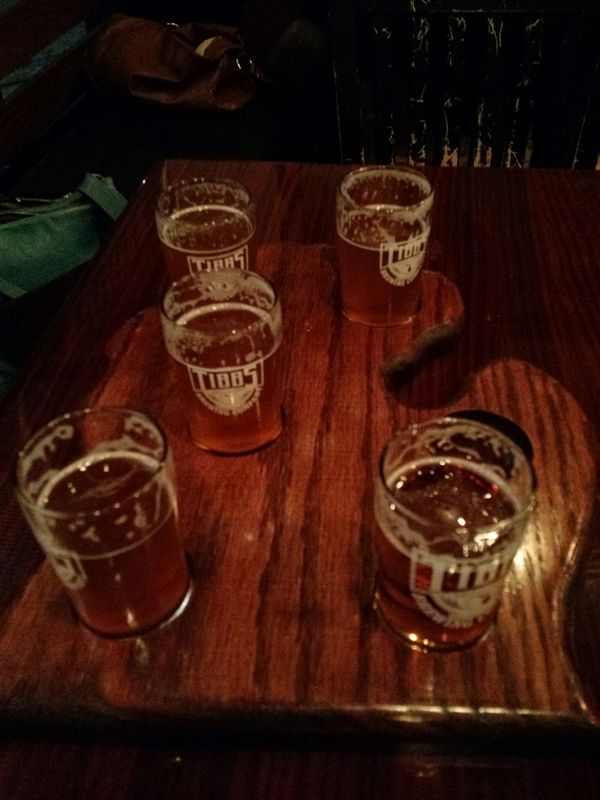 We tried a few of their beers, nothing really stood out as super impressive, and the whole vibe of the place seemed a little off. The people running it were nice enough, but it just didn’t click…I could be convinced to go back, but I don’t think I would ever suggest it. Kalamazoo Beer Week is a crazy festival that pretty much takes over the whole town to celebrate the wonderfulness of craft beer. On Tuesday, we went to The Wine Loft and had a beer and cheese pairing with beer from Green Flash. As expected, the West Coast IPA was the big winner, but the Double Stout paired with an espresso crusted cheese was hands down the best pairing. Afterwards, we walked over to Shakespeare’s for another pairing event, this time featuring Short’s beers and “mini sundaes”. I expected Soft Parade to be the favorite but the Key Lime Pie was surprisingly good, and not nearly as sweet as I expected. The Black Chai was disappointing, it got really muddled up in the finish in a very non appealing way. 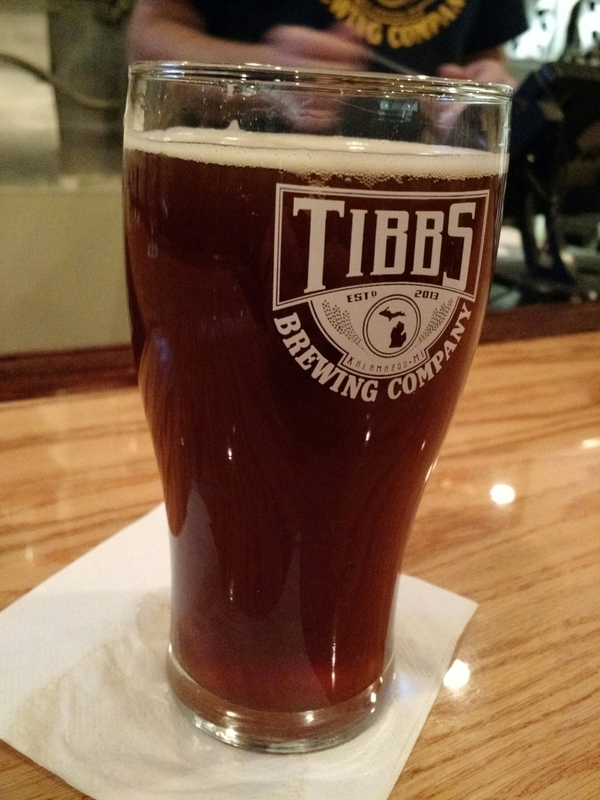 On Thursday, I went to what is probably my favorite local brewery at the moment, Tibbs. Tibbs was releasing their first sour beer, Experimental Sour #001. If there are 998 more of these planned, I’ll be happy to try them all. It hit a very nice balance between tart, sweet, and that little bit of funk that gets you to pay attention. In addition to the sour, they were also doing a beer called Espresso Yourself, which was essentially their G’Morning Coffee Stout (which is a super coffee forward beer already) run through a Randall filled with whole coffee beans from local coffee shop Something’s Brewing. We also met Chris and Tom, the brewers from One Well Brewing, a newer brewery out on Portage Road that looks pretty promising. Chris also happens to be a big boardgame nerd, so I can see myself going over there pretty regularly. We finished out the night at Bell’s, with the recently released, always impressive HopSlam. At 6.4%, this is the current Tibbs lightweight, but it’s a nice beer. It’s nice and sweet with a little bit of hop bitterness to balance it out. Something in it is coming across a little sour, which makes me think something with the yeast went a little wonky, but still a nice beer. Big Lushious is a bit sweet for me, but the way the tart raspberry cuts through at the end is pretty impressive. Not sure this would be a beer I could drink all the time, but it’s interesting enough that I would drink it again. 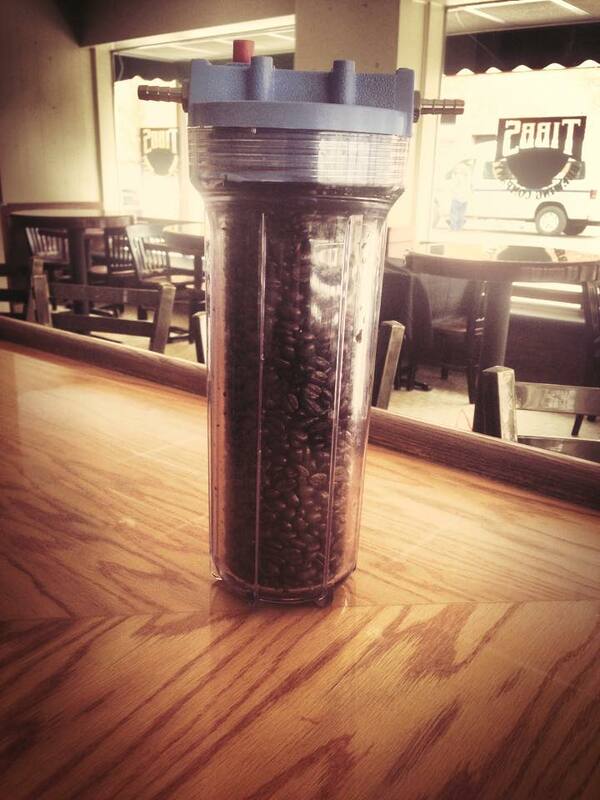 Coffees, much like any other consumed agricultural crop, will change over time. As these coffees change, coffee roasters have to tweak out their blends in an effort to maintain a consistent blend profile. 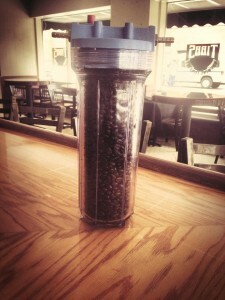 For example, the photo at the left is the current blend recipe for Counter Culture Coffee’s “Forty-Six”. 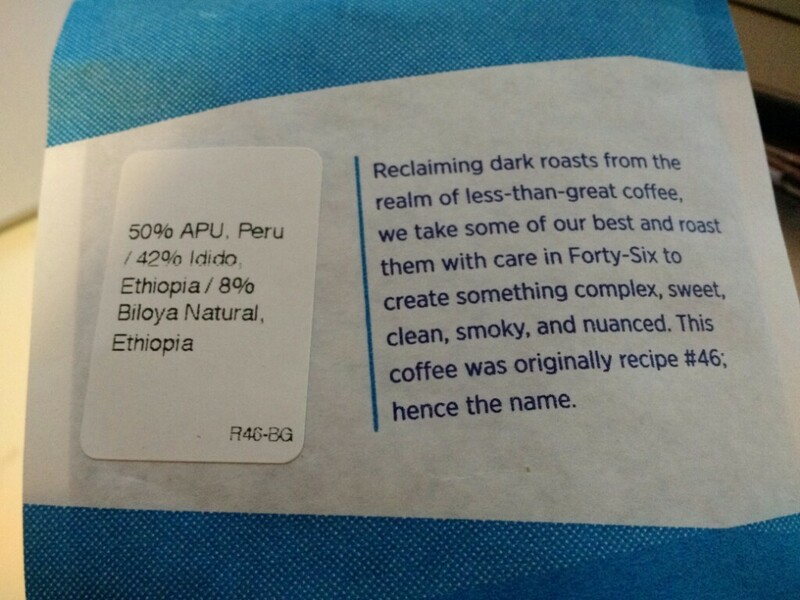 What’s interesting is that the original blend of Forty-Six (or MAG1 as it was originally listed in the Counter Culture recipe sheet) was 33.3% French Roast (which would vary, but was typically something Central or South American like Nicaragua or Peru), 33.3% Guatemala (almost always Antigua, and from the same estate, though the name has long since left my head) and 33.3% Sumatra (from various estates, but the green buyer at the time focused on “clean”-er Sumatras rather than the crazy funkballs that you often see). The most fascinating part of this to me is the fact that this coffee is now half African, utilizing the big berry and fruit notes from the Ethiopians to make up the flavor profile of the replaced Indonesian. 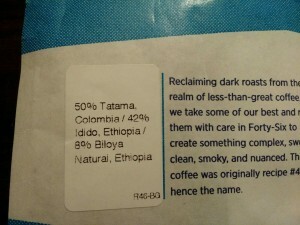 I suspect that by upping the dark roast component, they can use the lighter roasted Africans to round it out.